Centre Pompidou’s kids’ installation mixes pattern, colour and inflatables #MakerEducation « Adafruit Industries – Makers, hackers, artists, designers and engineers! Wonderful kid-focused installation from design studio GGSV in celebration of the Centre Pompidou’s 40th anniversary. Via dezeen. Devised as “a fictional journey into the heart of the National Museum of Modern Art”, the immersive event is arranged into three acts that feature a collection of multidimensional sculptures, an inflatable house and a performance by Chinese artist Liu Bolin. 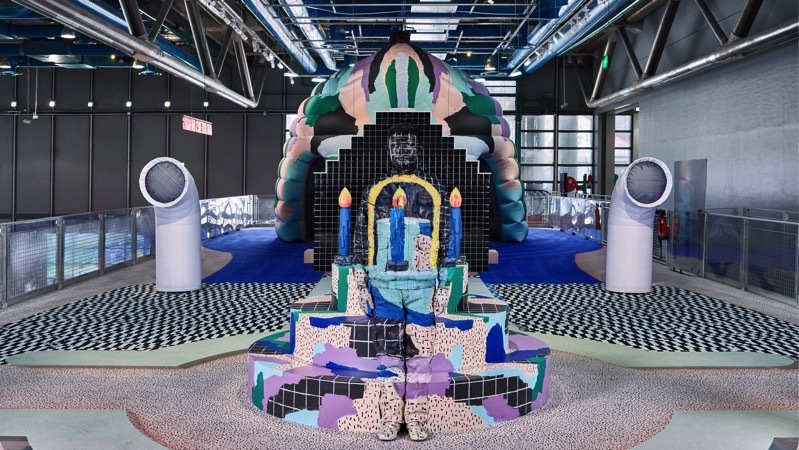 “In response to the Pompidou Centre’s invitation to celebrate its 40th anniversary, we had in mind the idea of a home, both welcoming and extravagant, a metaphor for the Centre and its history,” said the designers.